Here at Infinity Flooring, we provide a professional, personalised service totally tailored to you. 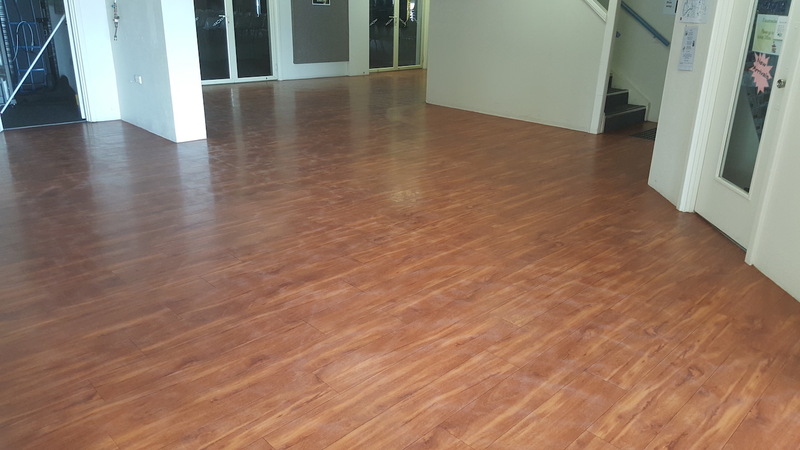 Based in Perth, we have extensive experience within the vinyl floor strip and seal industry. We specialise in both residential and commercial flooring maintenance. We are proud to offer a high-quality service designed to preserve and enhance the life of your vinyl floor. If you are looking for qualified, affordable experts who can beat your deadlines and guarantee top results, then get in touch today to discuss your needs. As an added bonus, we pride ourselves on environmentally-friendly practices to ensure that our conscience is as clean as your flooring! Vinyl flooring is a choice which is increasing in popularity in both commercial and domestic spaces. It is hard wearing, easy to clean and maintain, and long-lasting, allowing a polished and professional finish in every environment. Cleaning vinyl floors is an essential part of maintaining their quality and longevity. The wear and tear of everyday life and hundreds of feet passing over can lead to a dull appearance ingrained with dirt and elements which keep the surface from looking its very best. In addition, the use of incorrect products and chemicals by well-meaning cleaners can result in floors becoming discoloured or warped, ruining the whole look of your interior. There comes a point where simple household cleaning products just won’t do. This is where vinyl strip and seal services come in. To ensure durability, most vinyl floors will have some form of seal on the top. This covers and protects the floor, helping it to last longer and withstand the stress which it encounters in everyday life. With a strip and seal clean, this upper surface is stripped and removed using specially designed tools and solutions. The cleaner is left to soften the existing seal and then scrubbed thoroughly using a slow-speed polisher with a stripping pad to remove all of the seal and expose the floor below. The floor beneath is then cleaned and treated with specialised cleaning fluid to achieve a deep and thorough clean, before being ‘neutralised’ with a solution that contains a PH-neutralising additive to help preserve longevity. The surface is then thoroughly dried, and fresh layers of high quality sealer are added. Once this is totally dry, the floor is buffed to leave a high gloss finish – and your floor looking good as new! Investing in a good quality vinyl floor is a solid choice, and one which will save you money as the surface lasts year after year. As with anything, however, proper care and maintenance is essential to ensure that your floor is always looking its best. This will allow it to withstand the constant pressure and stresses which it endures on a daily basis. Strip and seal vinyl floor prices can vary, but they certainly provide a better deal than the cost of purchasing and relaying a brand new floor. Instead, a professional cleaning can achieve a good as new finish for a fraction of the cost!